This cute home located on the sunny side of Lead has nice features including wood floors, french doors, a remodeled kitchen and tiled shower. This home offers a low maintenance metal roof, stucco siding, and detached garage along with additional storage and a flat back yard. Now is the time to get in on the good deals before they are gone! There is a lot going on in the town of Lead with the progress of the world class Sanford Underground Laboratory. Lead is the hub for hiking, biking, snowmobiling, skiing, and ATV trails. Deadwood fun is only a couple of miles away too! 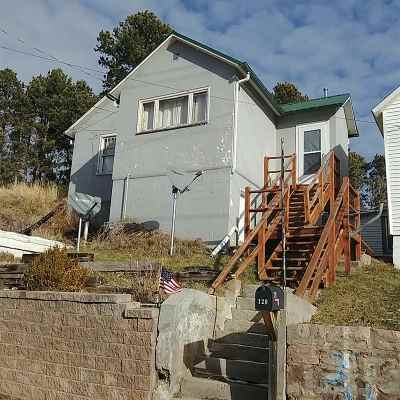 Call listing agent TJ Larson 605-580-0067 of ReMax In The Hills for more information.